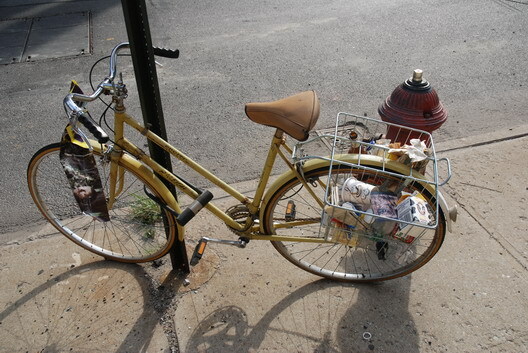 The Gowanus Lounge: Williamsburg Transportation Policy: It's a Bike. No, It's a Trash Can! 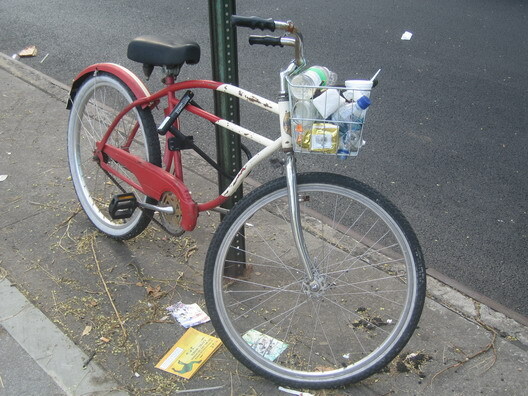 Williamsburg Transportation Policy: It's a Bike. No, It's a Trash Can! We're not sure why there seem to be a profusion of bikes with baskets doubling as trash receptacles around the Williamsburg, right now. Although, we might conclude that if you own a bike and you're going to lock it up, especially on Bedford, you might think about deleting the basket. Our other conclusion is that, possibly, Bedford Avenue as well as Berry Street need more trash cans.